Welcome to the another installment of DON'T WATCH THIS ALONE!, where we review the best, worst, and everything in between in the world of horror. 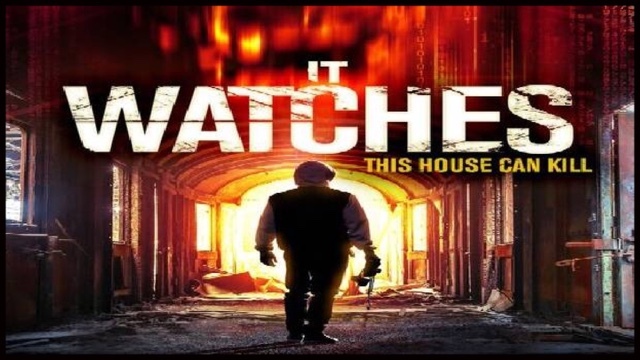 This week we review the suspense movie coming out on digital release this December, IT WATCHES. 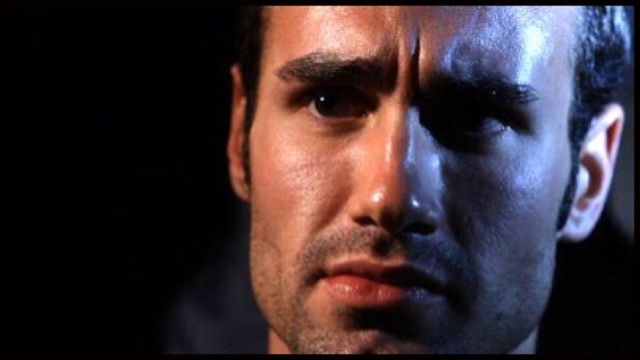 In It Watches, Ivan Djurovic stars as the character of Andre, who suffers from partial amnesia stemming from a blow to the head he received in a car accident. While recovering from this, he agrees to help his film producer friend Robert (Rick Irwin) by taking over a house-sitting job that Robert can no longer take care of due to being called to work on a reality show. The house, nestled in the hills above Los Angeles seems eerily familiar to Andre from the outside. Once inside, he is slightly disconcerted by the creepy interior filled with ominously shrouded human like figures and macabre artwork. Pushing aside his feelings of disquiet, Andre takes his video camera and explores the house at length. Satisfied that it’s not as creepy as it looks, he invites his girlfriend Rachel (Sanny Van Heteren) over to join him. Just when it seems like Andre and Rachel are going to have an idyllic and romantic weekend, a wild-eyed neighbor named Guy (James Duval) comes banging on the front door. He is there to warn them that police are saying escaped convicts are on the loose and that Andre should make sure all the doors and windows are locked. Guy quickly turns even creepier than the house when he is alone with Rachel whom he forces to leave the house. As night settles Andre, finding himself dejected over Rachel’s unexplained departure and Guy’s weird behavior before he too leaves, attempts to distract himself with watching a movie and indulging in getting high. Soon though, Andre begins hearing ominous sounds and experiencing strange occurrences throughout the house that lead him to believe he is not alone, and that someone, or something is in the house with him. As things begin to devolve around him, Andre becomes confused about what is reality and what is imagined. Until I saw It Watches, I had never heard of actor Ivan Djurovic. After watching it, he isn’t someone I am going to forget. The movie tries it’s best to be twisty with the suspense and the scares. What measure of success It Watches has with this type of ‘guessing game’ thriller comes from the outstanding and strong performance of Ivan Djurovic. As Andre, he carries the movie almost completely on his own. I’m not saying that because the other actors were giving bad performances, because they weren’t. I’m saying it because, for much of the movie, the only character in it is Andre. It fell to Djurovic to convince the audience to invest in the plot of the movie and he never once dropped that ball. It Watches is a decent movie that mixes regular movie filming with video camera footage supposedly being taken by Andre. There is just enough use of both mediums to give the movie a creepy, intense feel without overusing the concept of seeing everything through the lens of a video camera. Because the setting for It Watches takes place entirely in this oddly creepy house, it gives a real claustrophobic, unnerving atmosphere to the movie. It was sort of fun for me to see the exterior location of the house, as it is one I have rode past several times while out visiting a friend in Los Angeles. It gave me a ‘hey I’ve been there’ moment. As for It Watches, I say, if you get a chance, then give it a view, but don’t watch it alone! 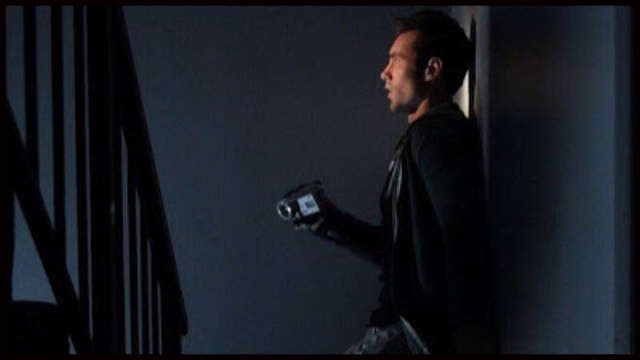 It Watches, which is written by Ivan Djurovic (story & screenplay), Dave Parker (story & screenplay) and directed by Dave Parker, premieres on Digital this December from Uncork’d Entertainment.